Announcement Hello and thank you for visiting my shop! 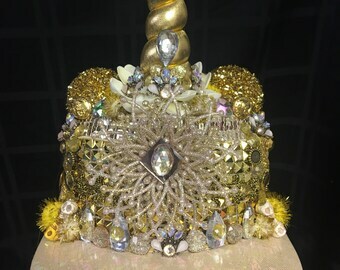 I am currently accepting custom orders for delivery in Spring/Summer 2019. Everything in the shop currently is ready to ship the next business day. Feel free to reach out with any questions! Thank you! Hello and thank you for visiting my shop! 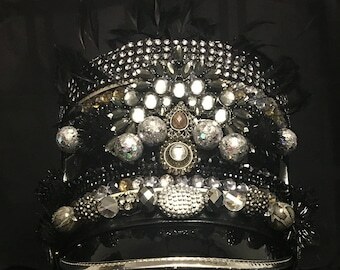 I am currently accepting custom orders for delivery in Spring/Summer 2019. Everything in the shop currently is ready to ship the next business day. Feel free to reach out with any questions! Thank you! For so long I have wanted a unicorn hat that stands out from the rest of the herd because after all, I'm not just any unicorn, I am - Harley Unicorn! 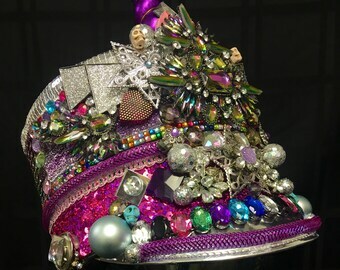 Lotus was able to incorporate all of my unrealized dreams, wishes, secret desires and love for all things sparkly into the most amazing custom hat I have ever seen! 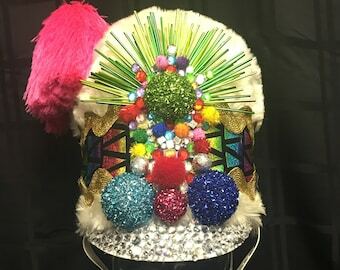 It has more bling than a schwartzki chandelier and features swappable unicorn horns that I can change out in every rainbow color. The detail and craftwomanship unreal. Each piece has countless hours invested in the design. If you are reading this then you are probably someone who desires to have something that truly sets you apart. I promise you, one of her creations has the magical power to do this because it has for me. Best purchase I've ever made on Etsy! This all white disco festy hat was exactly what I envisioned. Everyone was so impressed with its show stopping appeal. 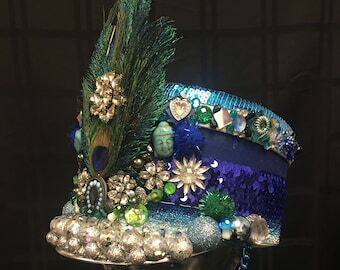 Expressing your creativity is a must, but I pay homage to this Master Hatter and will continue to honor this hat for the work of art it truly is. The price point was great and the amount of love and energy into each piece selected to be displayed was well planned. Thank you! Please bye her hats. Since I was a little kid in dance classes twirling around in tulle tutus and sequin leotards, I have loved wearing and creating costumes and expressing myself through fashion. 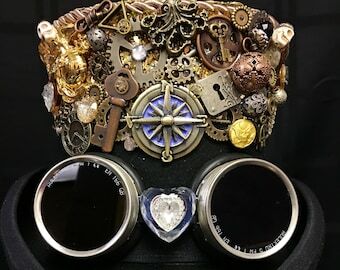 When I found Burning Man, that love took a new form, as I was endlessly inspired, amazed, and challenged to create beautiful, wearable art pieces for myself and my friends. Nothing makes me happier than seeing the joy on someone's face when they're wearing a handmade piece I designed. Welcome to my Etsy shop, Fire Lotus Studio, where I get to share my love of costumes and crafting with you, and help you bring the party wherever your adventures may take you. I challenge you to a dance battle.